The LG V30 is a flagship handset that tries to move the needle forward with a stylish design, 18:9 display, and powerful camera features. 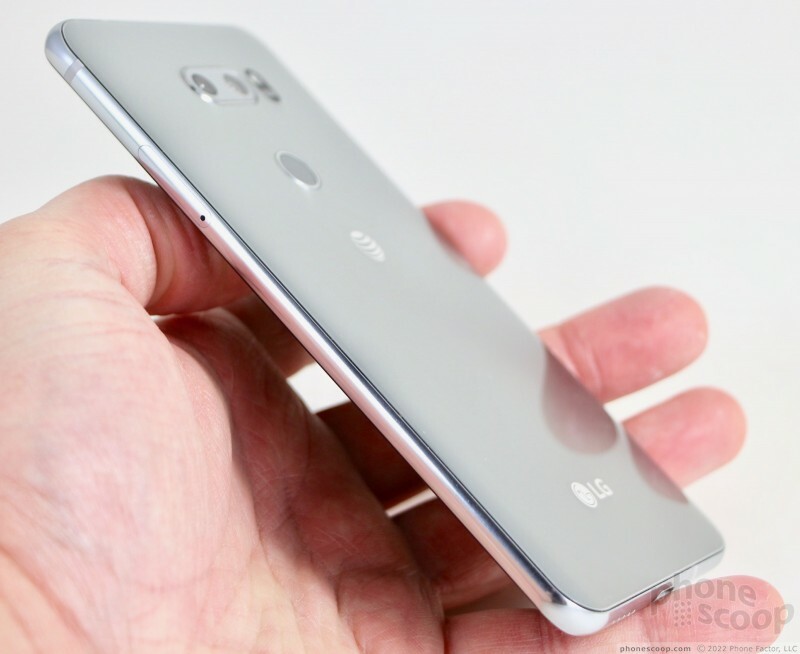 This metal-and-glass Android slab is a gorgeous piece of hardware that has lots going for it. Unfortunately, several oddities hold it back from greatness. 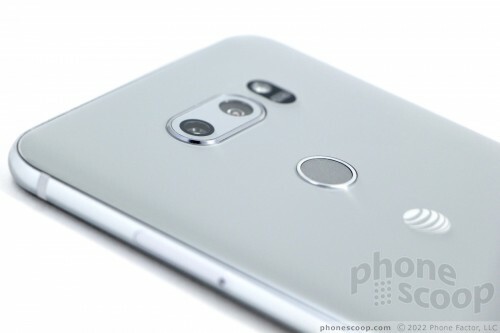 Here is Phone Scoop's in-depth look at the LG V30. The V30 from LG is a classy powerhouse. With its refined design, gorgeous display, incredible camera, top specs, and flexible software, the V30 should appeal to those who demand the absolute most from their handset. It's practically perfect. Practically. The V30 is a stunning slab from LG, a luscious combination of metal and glass that surpasses anything we've seen before from the Korean phone maker. It is slim, attractive, and simply amazing. To start, the V30 does away with the V20 and V10's most significant hardware feature: the Second Display. 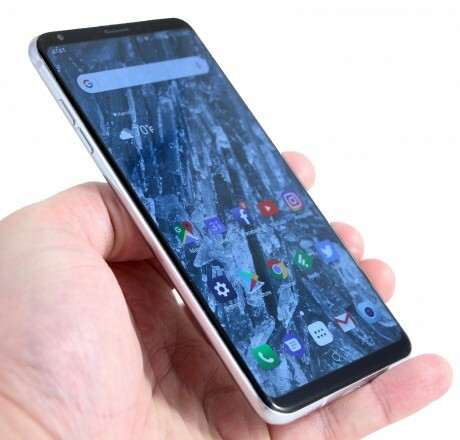 The V30's predecessors both offered a small, secondary screen that sat atop the front surface. It offered shortcuts to some functions, as well as additional tools in apps such as the camera. 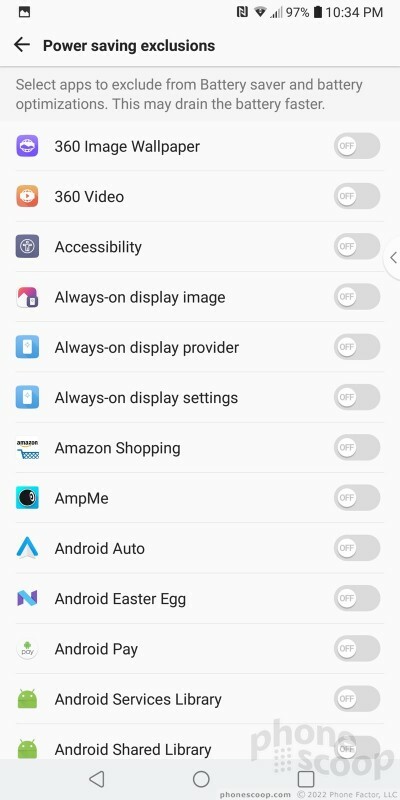 The Second Display is gone, replaced by a software equivalent, and the V30 is better for it. The V30 doesn't have quite the curvy personality of Samsung's Galaxy S8, but it's close. 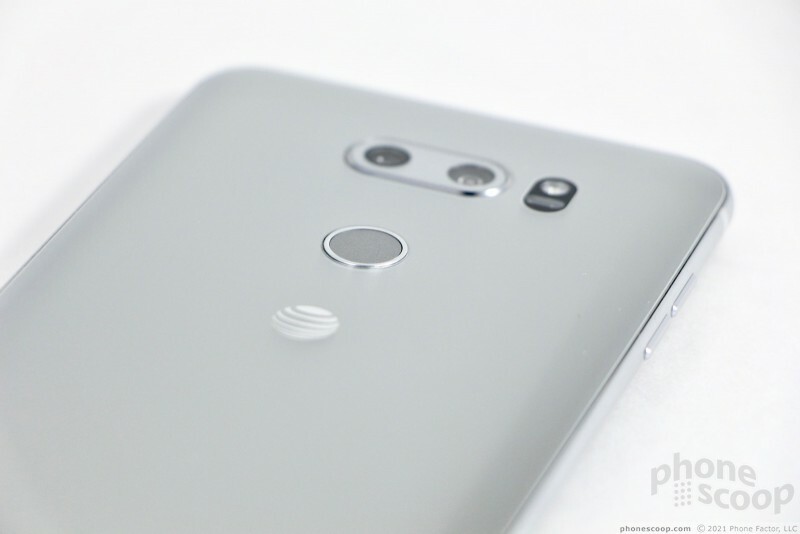 The V30 takes the blockier shape of the LG G6 and smoothes out the edges. 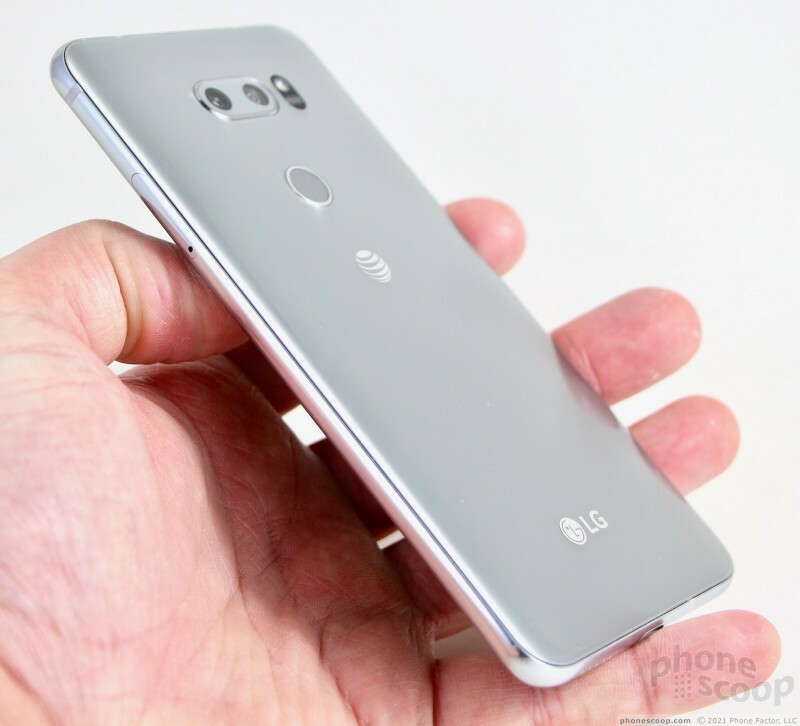 It's almost as though LG smooshed the G6 to create the V30, which is thinner, wider, and taller than the G6. 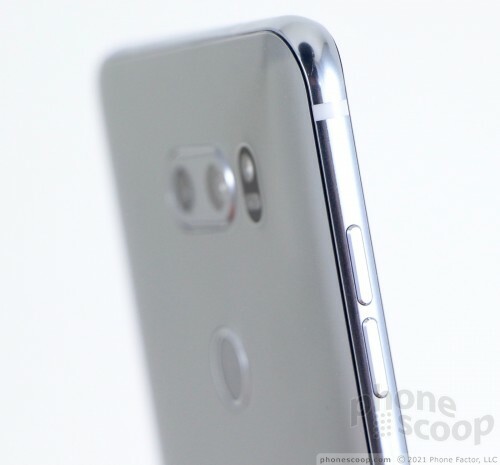 Rounded glass covers the front and rear sides of the V30 and is held in place by a smooth metal frame. I really like the shape and feel of the frame. It may lack fancy chamfers, but the aluminum is polished to a nice shine. The phone comes in silver or black. Both look slick. There's no doubt in my mind this is LG's finest hardware. The V30 is a fairly big phone, though it stops well short of being the biggest. 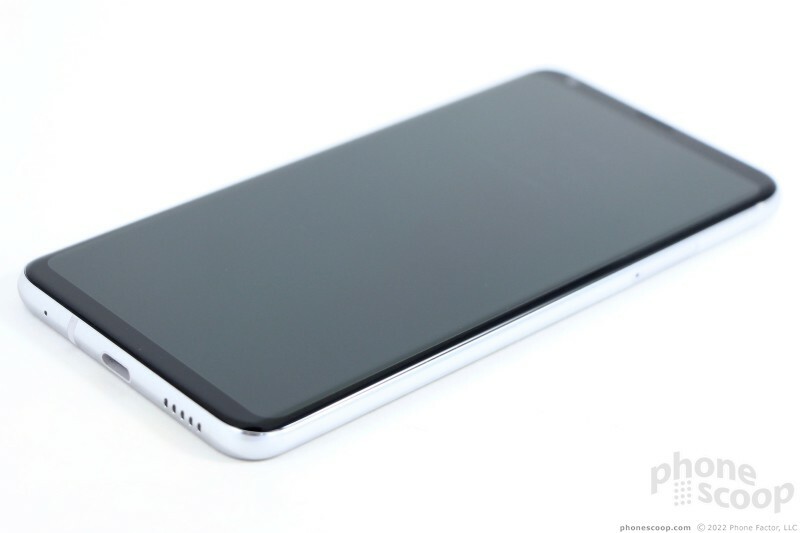 It's definitely smaller than the Note8, iPhone 8 Plus, or Pixel 2 XL. 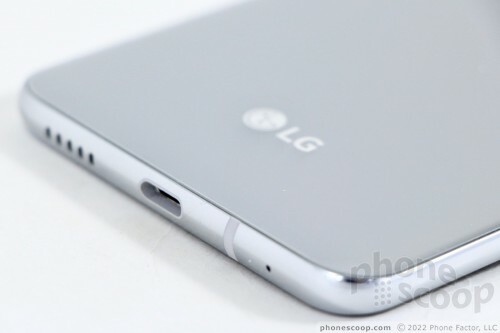 LG did a commendable job keeping the footprint in check despite the huge 6-inch screen. 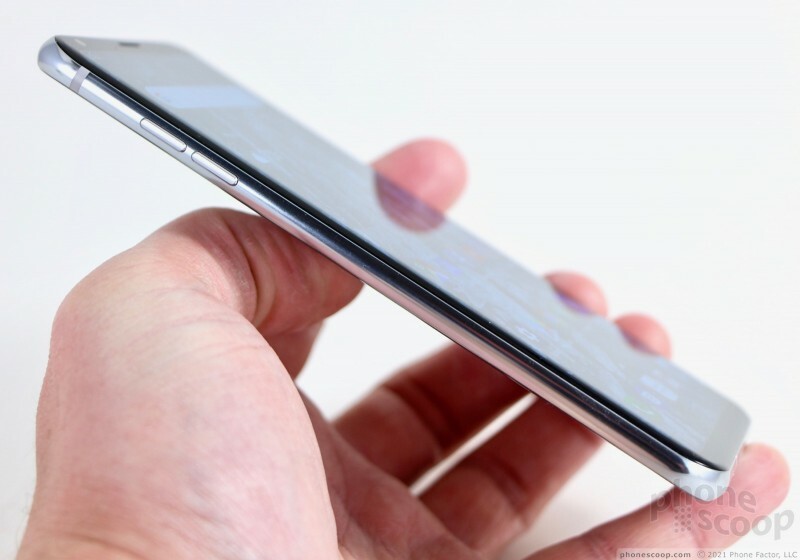 The phone is under 6 inches tall and under 3 inches wide, which helps with hand fit. Those with the smallest hands may find it is still a bit too large, but most people should find the phone comfortable to hold and use. The slim profile and smooth edges allow the V30 to slip into nearly any pocket with no problem. Build quality and materials are top notch. The aluminum frame wraps all the way around the exterior and creates a sturdy base for the glass panels. The glass feels excellent. The smooth panels are curved slightly where they join the metal frame. There are no gaps in the joint between the metal and glass, which is tight all the way around. Phones with glass on the front and back are surely delicate, but at least it's strong Gorilla Glass 5. My one complaint is probably the weight. The phone weighs in a 5.57 ounces and it actually feels too light. It detracts just a bit from the perceived quality of the handset. The V30 would give me more confidence were it a little heavier. It almost feels like a toy. Phones such as the iPhone 8 Plus and Note8 are much heavier, and it actually helps with perceived quality. The actual quality of the V30 is great. Few phones have as high a screen-to-bezel ratio as the V30. In other words, the face is all screen; LG practically eliminated the bezels entirely. 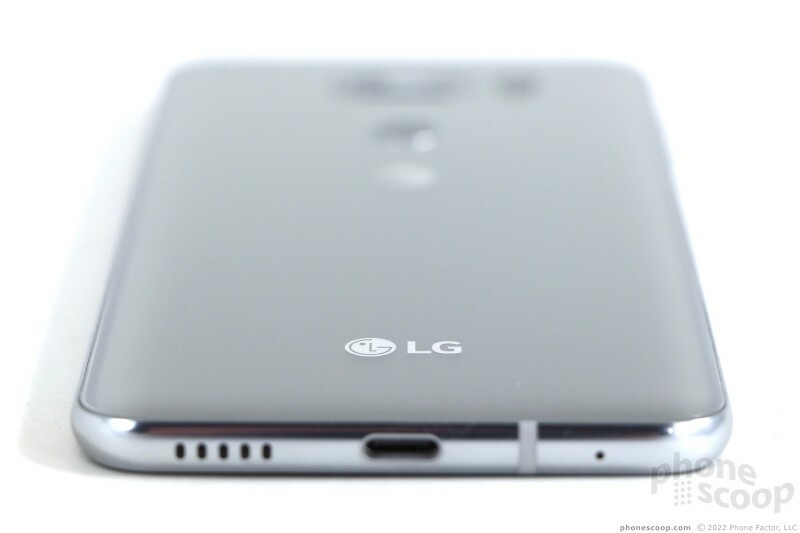 I'm stunned by how LG managed to squeeze the earpiece speaker and user-facing camera above the screen. There are no hardware buttons on the phone's face, as the V30 relies on software controls. 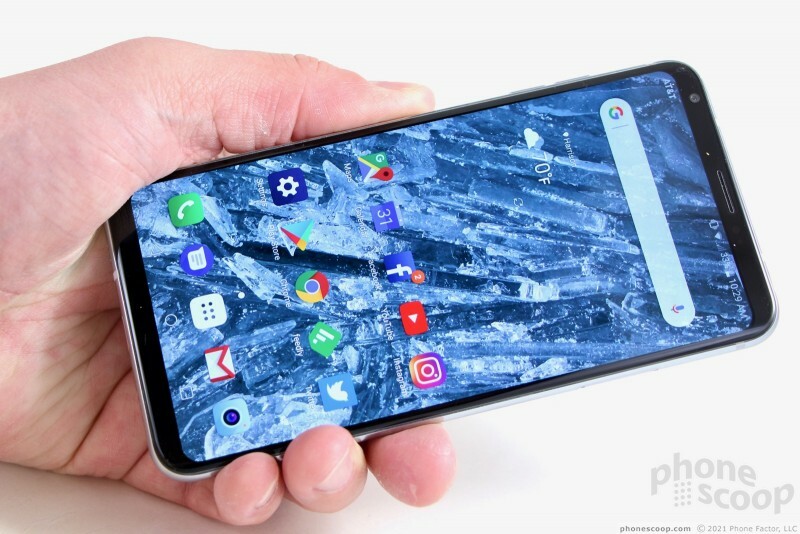 If you want maximum screen and minimum bezel, the V30 delivers. 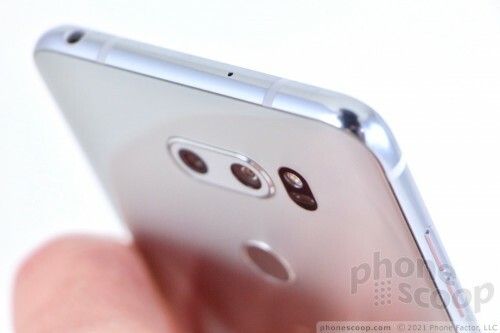 LG separated the volume toggle into two buttons, which are perched high on the phone's left edge. The keys have good profiles and excellent travel and feedback. The buttons are high quality. The down volume key will open the camera with a quick double press if you wish. The combined SIM/memory card tray is tucked into the right edge. I had no trouble using it with the included SIM tool. 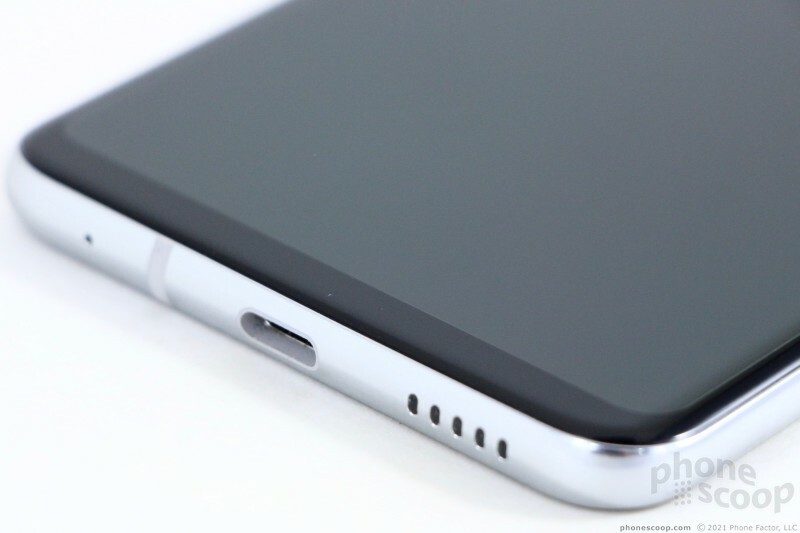 You'll find a 3.5mm headphone jack on the top edge (something fewer phones offer these days), and the USB-C port on the bottom. 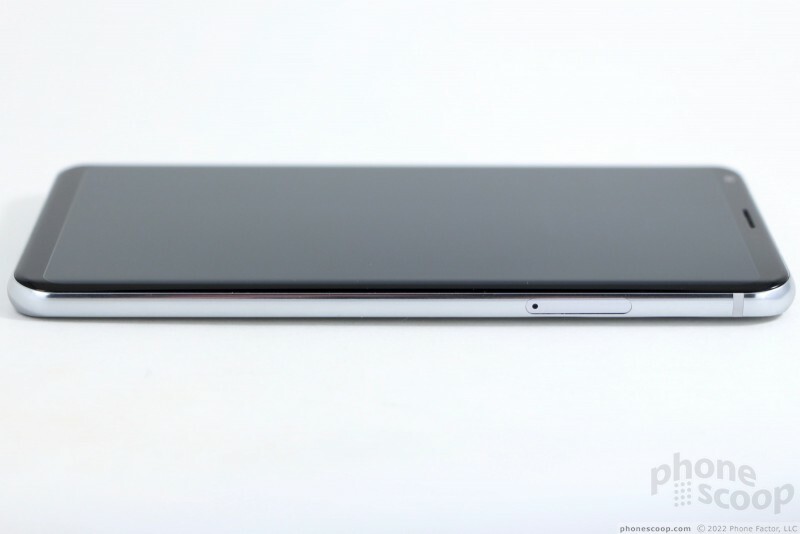 Smooth glass stretches across the entire rear panel of the phone. 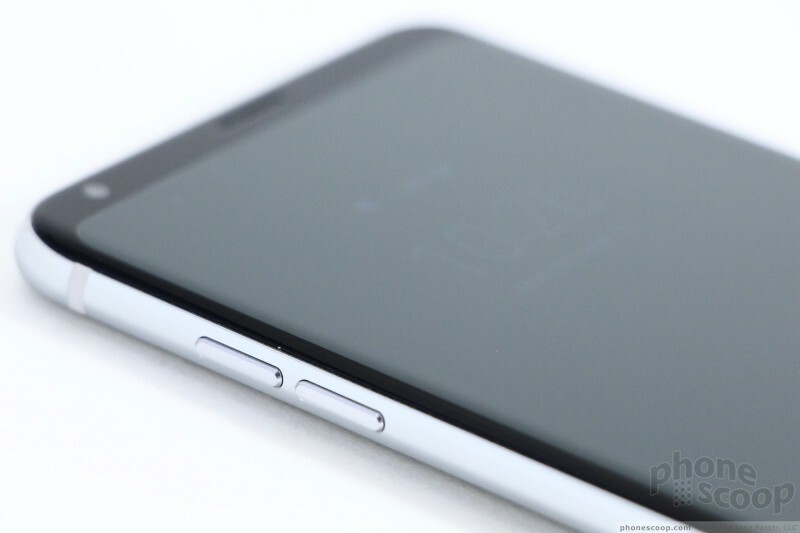 The V30 features a fingerprint/screen lock button on the rear panel. It's positioned well, about three-quarters of the way up. I had no trouble finding or using it, though I wish it were indented just a bit. The dual camera module protrudes just a bit. The V30 is waterproof thanks to an IP68 rating for water and dust ingress. It can sit in up to 1.5 meters of water for up to 30 minutes. That means it won't die a watery death if you drop it in the pool or sink. It can handle sweat and rain no problem. 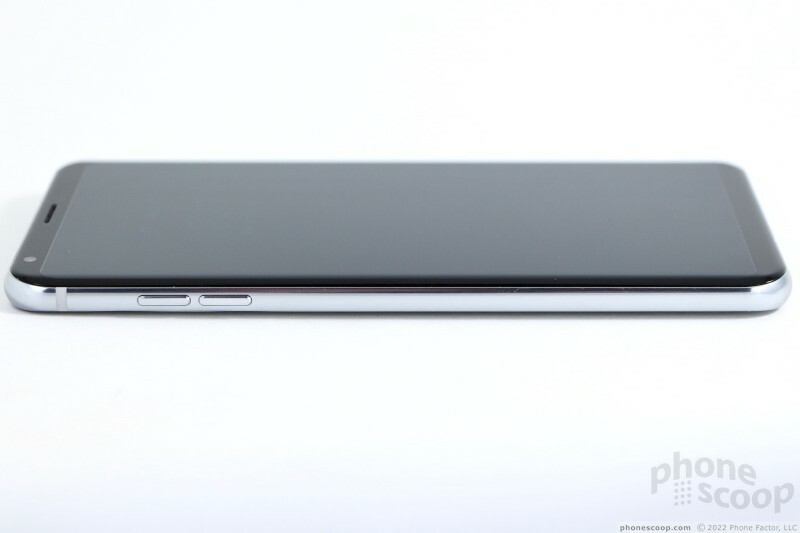 With that said, the phone is pretty much the opposite of rugged. 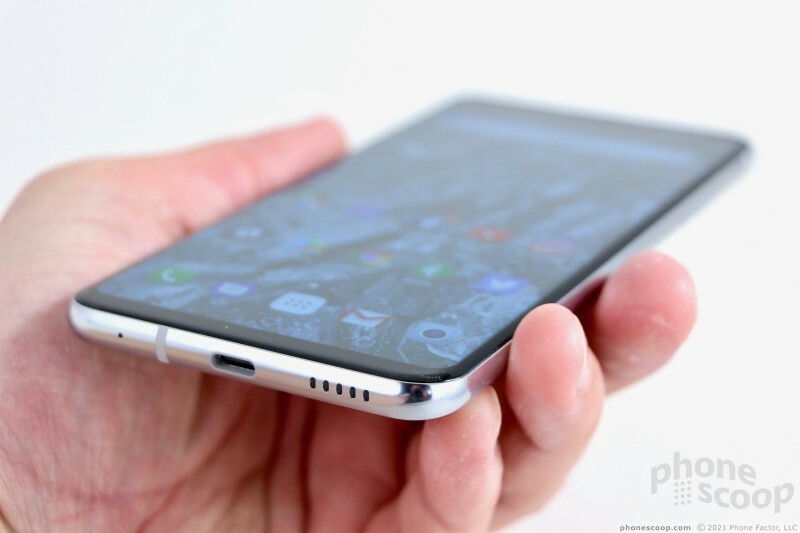 The twin glass panels may be made of Gorilla Glass 5, but I would treat the phone tenderly. You'd be wise to find a case for the V30. 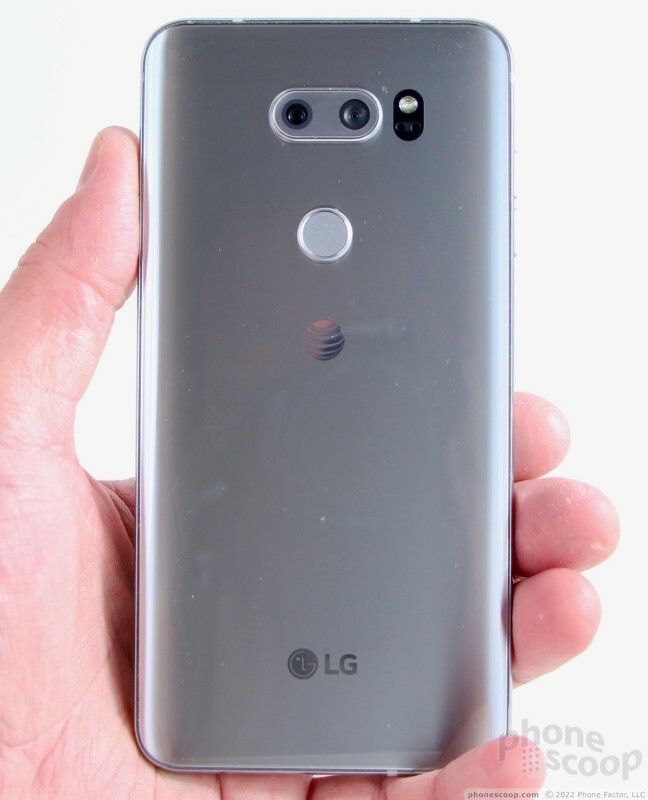 LG did an excellent job with the V30 design. It impresses all the way around. The LG V30 makes use of an OLED display, which is rare (but not unheard-of) for the company. OLED displays reproduce perfect blacks, offer a wider color array, and have a faster response rate than LCDs (which is important for virtual reality.) The quad-HD+ resolution is excellent and the 2:1 aspect ratio feels modern. It's a fantastic screen. I have only superlatives to heap on the V30's display. The pixel density means everything on the screen is smooth and free of ragged edges. The contrast and color are superb. The phone supports HDR video playback and I tested in with some Netflix content. It's about the best video experience possible on a modern handset. Brightness is very good. I was able to use the phone indoors and out with no problem. Viewing angles aren't the best. I noticed a significant blue shift and brightness drop when tilting the phone side-to-side. Like other flagships, LG provides plenty of advanced controls for the V30. For example, you can change the resolution if you want. Dropping the display from quad HD+ (2,880 x 1,440) to Full HD+ (2,160 x 1,080) will have an immediate positive impact on battery life. 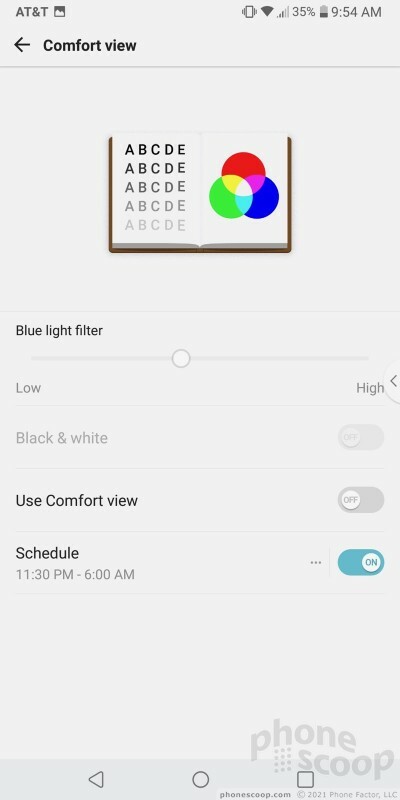 You can also manage app scaling (to improve compatibility with apps designed for 16:9 displays), screen color, and comfort view for late-night viewing. 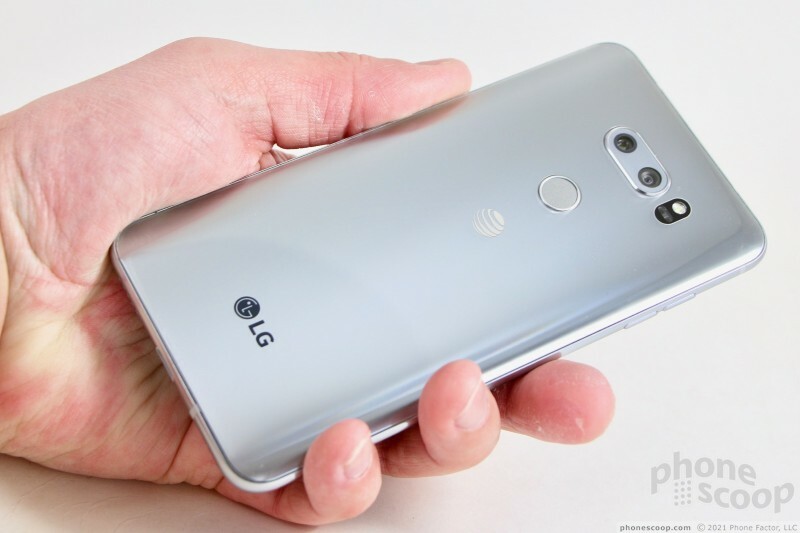 LG has a half-dozen different versions of the V30 for various carriers and markets. The phone is among the first to ship with support for Gigabit LTE, though actually finding such service depends on carrier support. 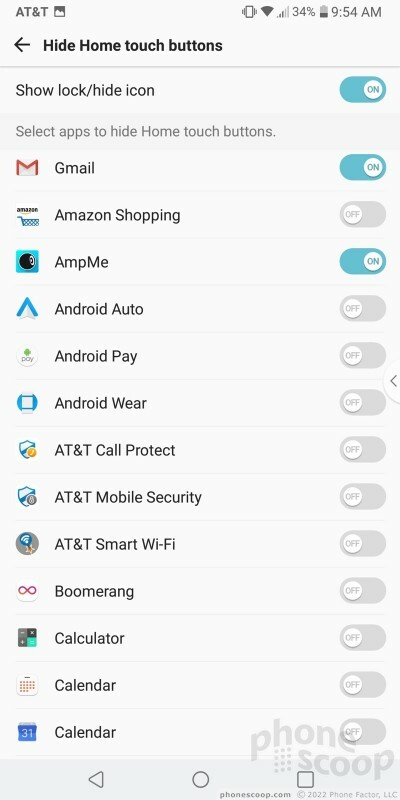 I tested the AT&T model and came away impressed. The phone handily latched onto AT&T's 4G network and remained there throughout testing. Data speeds were robust and reached some of the quickest I've seen from AT&T. In real world terms, the V30 was able to stream high-quality video via YouTube and music via Spotify with no trouble at all. I saw little to no buffering and didn't experience any dropouts or pauses. The V30 is a fine data phone. As for making phone calls, the handset was able to connect calls on the first dial each time. 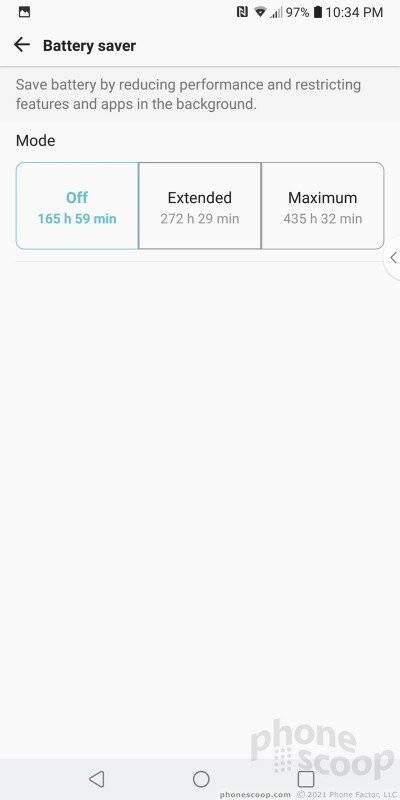 The phone kept calls connected over miles of highway driving with no effort. If you're a T-Mobile customer, it's worth noting that the T-Mobile variant of the V30 supports LTE Band 66 and Band 71. Band 71 should provide a significant boost to coverage in rural areas. Call volume left me slightly underwhelmed. The V30 delivers clean audio through the earpiece. Voices come through clear and with a warm tone. I was pleased with clarity and quality, but the V30 lacks audio power big time. Noisy spaces such as coffee shops or moving cars make calls through the V30 almost impossible to hear. These issues carry over to the speakerphone. Clarity is just fine, even with the volume cranked all the way up, but the max volume doesn't deliver the punch I want. You can handle speakerphone calls easily in an office with the door closed, but those calls become much more difficult to hear if there's lot of ambient noise. Accordingly, the ringers and alerts weren't as loud as I wanted. Walking around NYC, I had a hard time hearing the ringtones even when the volume was set up all the way. At least the vibrate alert, which is fully customizable, is quite good. If you want to listen to music directly on the phone, you have to rely on the single bottom-firing speaker. As with speakerphone calls and ringers, it just doesn't deliver enough volume to impress much. The V30 does include a quad DAC for high-quality listening, but this requires wired headphones used with the V30's headphone jack. I tested wired music quality and it's certainly impressive if you have good wired headphones. The quad DAC controls are only available when headphones are plugged into the phone. The V30 packs a 3,300 mAh battery, which should be enough to deliver a full day of battery life and yet somehow it isn't. With the display set to the full resolution, the V30 just barely crawled its way from breakfast to bedtime. It was down to 10% most nights with just average usage throughout the day. On days when I spent a lot of time taking pictures, or using Maps for navigation, the battery was more apt to konk out around 9 or 10. Downgrading the resolution provides an immediate boost in battery life. I suggest you keep the resolution set to full HD+ except for when you're actively using VR. I was able to coax the phone from breakfast to bedtime with much more power to spare >30% with the resolution dialed bad to HD+. 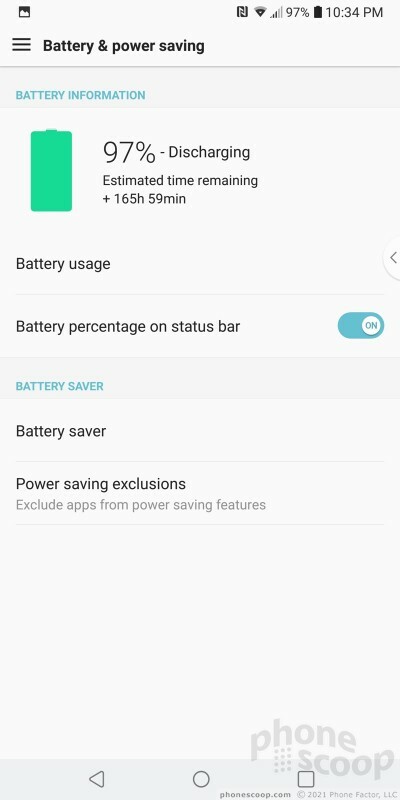 LG gave the V30 extra tools to help manage battery life. 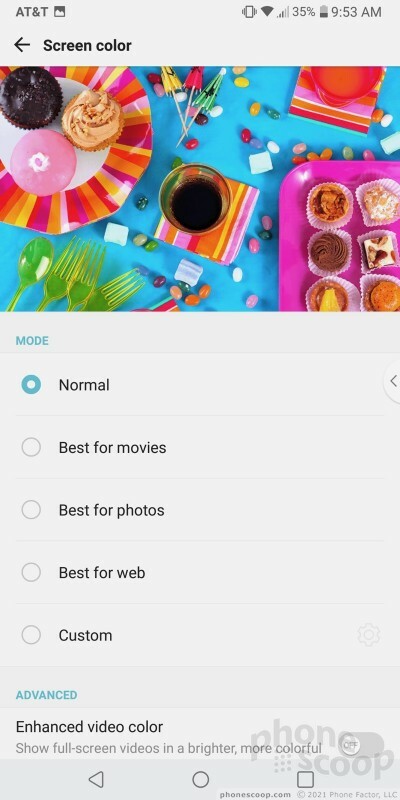 In addition to the standard Android power saver mode, the V30 also has a setting that specifically reduces the processor power given to games. The V30 supports Quick Charge 3.0 through its USB-C port. Thanks to the included fast charger, the V30 will power up quickly when needed. It also supports both major wireless charging standards, which means it is compatible with most wireless charging pads. I tested it on a Qi-based pad and it worked fine. The V30's ancillary radios all worked very well. Bluetooth was a cinch to use and the NFC radio helped me pair the V30 with a wide array of Bluetooth accessories. I used the V30 for several calls via my car's hands-free system and they sounded very good (though quiet). Music had a rich sound when passed through a good Bluetooth speaker. You can use the NFC radio for mobile payments via Google's Android Pay service. I found it worked well. Google Maps and the V30's GPS radio were fine companions. The phone located me within seconds and was accurate to about 15 feet. That's excellent. Real-time navigation between points worked flawlessly. The WiFi was particularly quick. The V30 is LG's new top-end flagship, for people who want something even more cutting-edge than the G6. 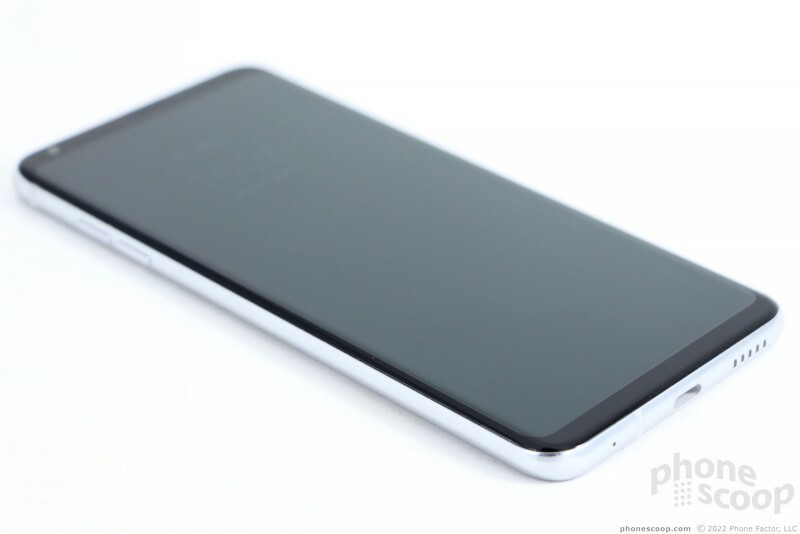 As with previous V-series phones, it sports a huge screen. The LG V30S ThinQ, an upgrade to last year's V30, will soon be available to U.S. buyers for $930. 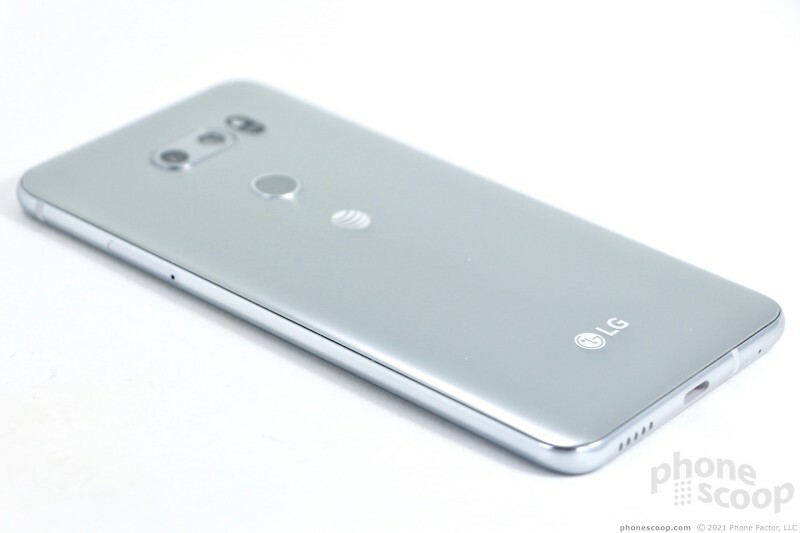 AT&T this week released Android 8 Oreo for the LG V30. The phone shipped last fall with Android 7.1 Nougat. 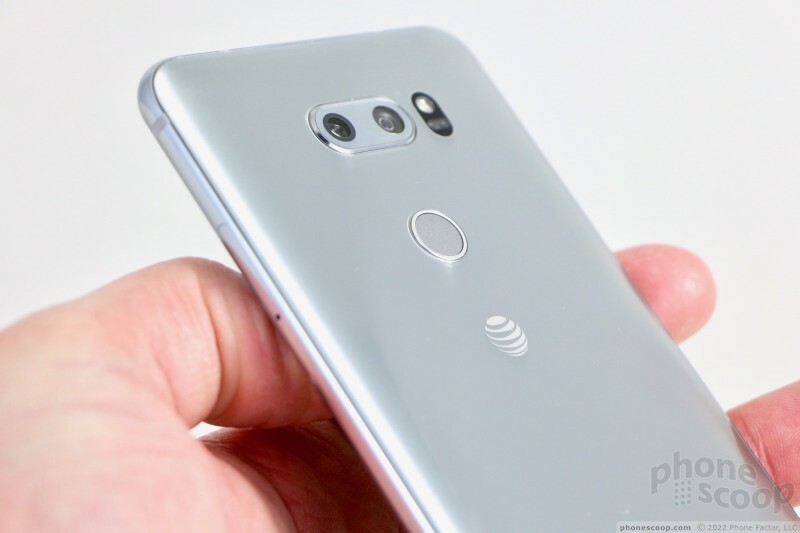 LG and T-Mobile today said the new V30 flagship smartphone will be the first device capable of operating on T-Mobile's brand new 600 MHz spectrum, or Band 71. T-Mobile kicked off 600 MHz service in Cheyenne, Wyo., two weeks ago and today added Scarborough, Maine. I have been waiting for this review. 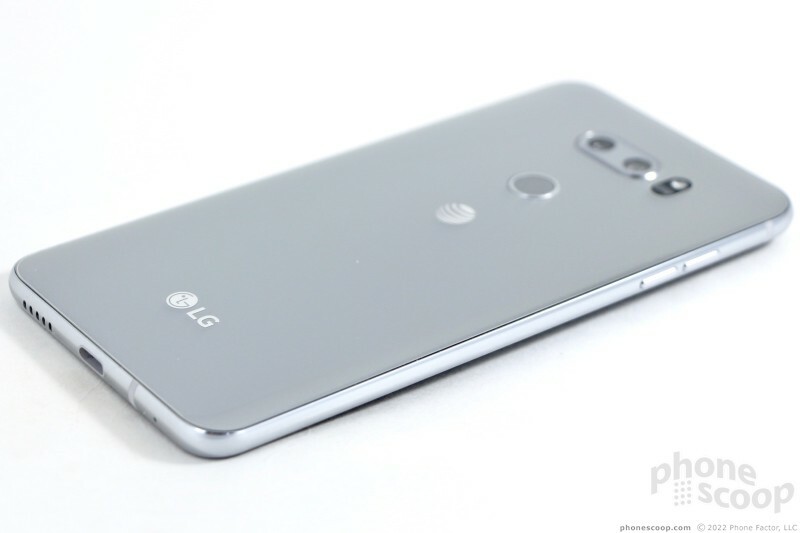 The things I loved about the LG line are slipping away... the ear piece and speaker volume were absolutely awesome on the G5 then went right into the crapper with the G6 and now with the V30 it sounds like it's still dismal. 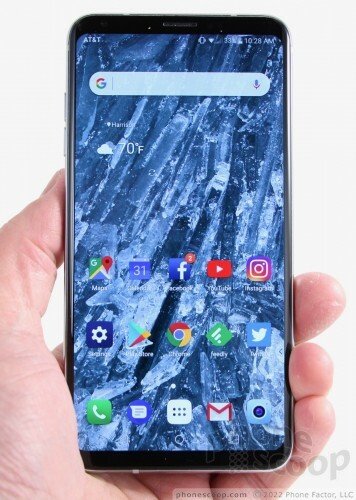 You'd think (or hope) that when you drop $800 to $1000+ on a phone that there would be few compromises to have to deal with but that just is not the case lately. Thank you for actually providing some feedback on the signal strength. It sounds like it was good for you in your use case. Can you make any comparison to another phone? Thank you. If anyone else has any real world feedback on the signal strength/reception quality on the V30 I would appreciate it. 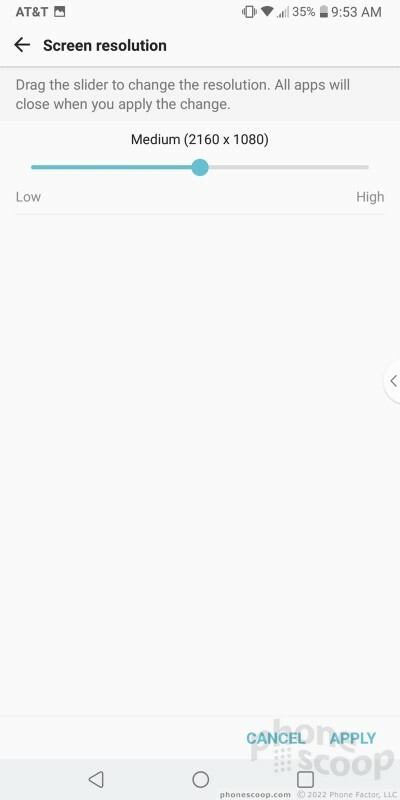 My wife and I are both looking to get new phones soon and the AT&T BOGO is tempting while we can get the VR headsets too. 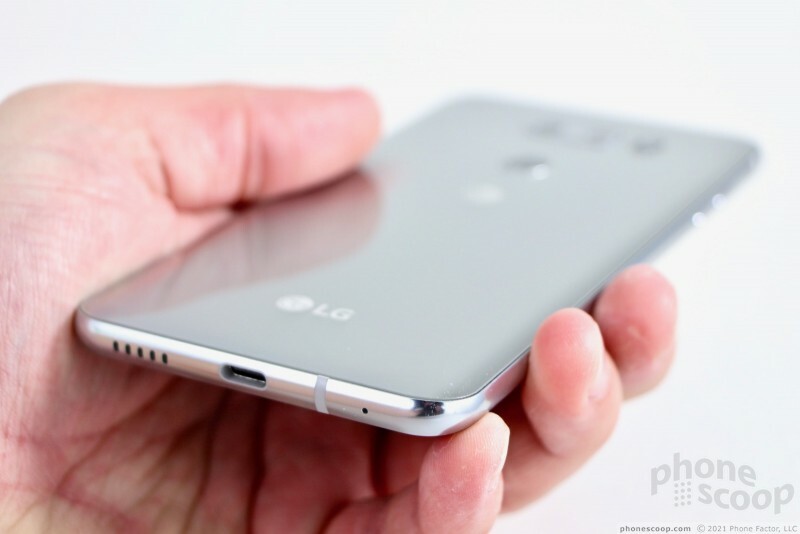 I haven't had a LG phone before so just curious about the antennas. We have Samsung phones now and they do not get as good of a signal as the Moto phones we've had in the past and that really annoys my wife (her work is worse for signal than mine).